The flight into Bhutan takes you the great Himalayas offering you the most scintillating scenery of the world's highest glacial peaks. As you enter Paro valley, you will see the silvery Pa-chu River meandering down the valley, the Paro Dzong fortress and the Ta Dzong. 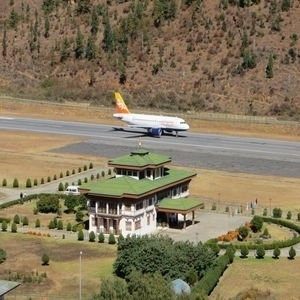 You will be welcomed by our representative at Paro Airport and transferred to Thimphu. Upon arrival check in at your hotel and spend the rest of your time at leisure to discover the capital on your own. Bhutanese culture and way of life and then drive to the 15th century Changakha Lhakhang temple perched on a ridge in the Thimpu Valley. The Takin Sanctuary, next on your itinerary, will give you the opportunity to spot the national animal of Bhutan, the takin or gnu goat. Also visit the school of Arts and Crafts and the National Library which holds a vast collection of ancient Buddhist texts, manuscripts and academic works on Himalayan culture and religion. You will then head to Buddha Dordenma, one of the largest Buddha statues in the world at 169 feet with the body of the Buddha filled with 1,25,000 smaller statues of Buddha. 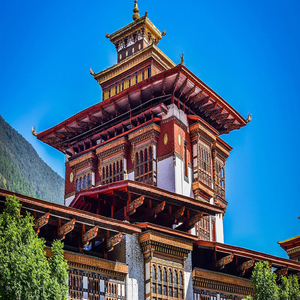 In the evening you will visit the Tashichho Dzong; the main secretarial building in Bhutan which houses the throne room of His Majesty the King of Bhutan and also the head seat of Chief Abbot of the mounatin kingdom. Return to your hotel at the end of the day and stay overnight. 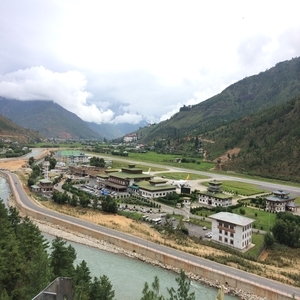 "Today your journey takes you to Punakha. The view of the Himalayas from Dorchula Pass is one of the most spectacular sights in all of Bhutan. Add to that the 108 chortens, or small stupas, and you are sure to be delighted. Retrace your steps back towards Punakha and visit Chimi Lhakhang. Enjoy your walk through the pretty paddy fields to reach the Chhimi Lhakhang, the Temple of the Devine Mad Man, Drukpa Kuenley. Drive on to Punakha, and visit the most beautiful Dzong in Bhutan built in 1637 by Shabdrung. The former capital, it still serves as the winter residence of the country’s clergy. The first king, Ugyen Wangchuck, was crowned here in 1907. Check into your Punakha hotel and stay overnight". After breakfast at the hotel, you will depart for Gangtey, known for its rolling hills, green meadows and snowcapped mountains. 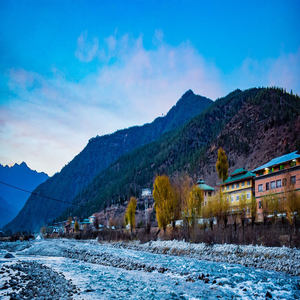 From Gangtey, you can enjoy lovely views of the Black Mountain as well as the beautiful Phobjikha Valley. 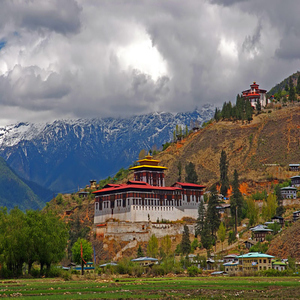 Gangtey Gonpa is perched atop a small hill that rises from the valley floor. The Monastery is surrounded by a large village inhabited mainly by the families of the 140 Gomchens (Lay Monks). The Gangtey Gonpa is the only Nyingmapa Monastery on the western side of the Black Mountains and is also the biggest of its kind. Gangtey is also the winter home for the famous Black Necked Cranes who migrate here from Tibet during the winter months. At Gangtey, you can visit the Gangtey Monastery and the Black Necked Crane Center. Today you will leave soon after breakfast for Paro. Upon arrival check in at the hotel and head out for a day of sightseeing.You will begin at the National Museum which houses an impressive collection of fine arts, paintings, bronzes, textiles, jewellery and handicrafts as well as galleries of stamps. You will also visit the Rinpung Dzong, the Fortress of the Heap of Jewels, built in 1645 by Shabdrung Ngawang Namgyel. It is an imposing square fortress, representative of typical Dzong architecture, with a central tower and courtyards housing the administrative (Dzongkhag) quarters and has a community of about 200 monks. 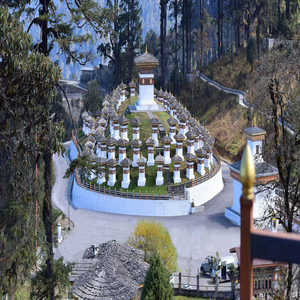 A hike down the hill will bring you to the cantilever bridge, one of the finest specimens in Bhutan with its shingle roof and two guard-houses at each end. Return to the hotel at the end of the afternoon and stay overnight. After breakfast at your Paro hotel, drive 20 minutes to the end of the valley to Drukgyel Dzong from where you can view the towering peak of Jomolhari (7,326m). This mountain, also revered as a powerful goddess, forms the border with Tibet and provides a magnificent backdrop to the ruined Drukgyel Dzong and village. You will travel next to Rumthangka that promises glorious views of Taktsang. You could choose to take the optional trek to Taktsang. 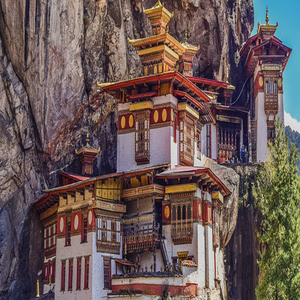 The Taktsang Monastery, clinging on to the steep rock, is one of the holiest temples in Bhutan. It is believed that Guru Rinpoche, revered by the Bhutanese, flew on the back of a tigress and meditated here. The trek to the temple through the pine trees and the sweet aroma in the air is indeed a very special and memorable event. The return hike will take about 05-06 hours. You will have the rest of the time free for souvenir shopping in Paro. Enjoy your last day of your holiday before checking out of the hotel and being transferred to the airport for your onward journey.